After nearly three years of wishing, yearning, longing, pining, and desperately hoping to gain immediate access to a dehydrator, I’ve finally had one of my utmost culinary wishes fulfilled after moving into the Vassar campus’ vegan/vegetarian egalitarian housing cooperative known as Ferry House. One of Ferry’s past members left her old Excalibur dehydrator in the house after moving out, and I ecstatically unearthed the dust-gathering appliance from the Ferry pantry the other day (aka, the happiest day of my life). Now armed with the necessary equipment as well as a freezer full of almond and vegetable pulp leftover from homemaking almond milk and juice, I set out to create my very own raw bread as my first authentic dehydration endeavor. A while back, I crafted a savory green juice, loosely inspired by the bloody mary drink, of kale, tomatoes, red bell peppers, and carrots. Combining the frozen pulp of this juice with fluffy almond pulp, a couple of my favorite umami seasonings, and flaxmeal for binding yielded a deeply flavored, veggie-packed, verdant raw bread that spoke to me as the essence of hot-weather food. Inspired to create a raw variation of the finger sandwiches that one might enjoy at a white-gloved garden party, I naturally had to whip up a brightly flavored cashew cream cheese to spread on the bread. Finally, playing off of the unctuous umami flavors in the bread, I decided to marinate a couple of sliced mushrooms in the ever-famous Liquid Gold Dressing and slightly dehydrate them to achieve a chewy, meaty texture. Marinated mushrooms fresh out of the dehydrator. From the combination of these three recipes ensued one of the most flavorful, fresh, and satisfying raw sandwiches I’ve ever had the pleasure of enjoying; I plan on crafting oodles more raw sandwiches in the coming dehydrator-filled weeks. If you don’t, however, own a dehydrator, you can still enjoy this and other fabulous raw sandwiches by following my instructions for How to Dehydrate Without a Dehydrator. Also, if you don’t have a surplus of almond and veggie pulp, you can use ground almonds and a blend of shredded vegetables (such as zucchini and carrots) squeezed of excess moisture instead. Raw Garden Vegetable Sandwiches with Scallion Cashew Cream Cheese & Marinated Mushrooms—Raw, Soy Free, Low Sodium. Combine all of the ingredients in the bowl of a food processor and process until smooth, adding just enough water to facilitate blending. Spread the mixture evenly onto a Teflex-lined dehydrator sheet and score into 6 rectangles. Dehydrate at 115°F for 6 hours or until dry and crunchy, flipping once about halfway through the dehydration time. Once dry, carefully remove the bread from the dehydrator sheets and snap along the score lines to separate into six pieces. Alternatively, if you don’t own a dehydrator, you can use your oven to dehydrate the crackers by following my instructions for How to Dehydrate Without a Dehydrator. Combine all of the ingredients except scallions in a blender and blend until smooth. Add the sliced scallions and blend until just incorporated. Refrigerate until thickened. Place the sliced mushrooms in a medium bowl and toss to coat with the Liquid Gold Dressing. You can now do one of two things: allow the mushrooms to sit in the marinade for 2-4 hours until softened, or place the coated mushrooms on a Teflex-lined dehydrator sheet and dehydrate at 120°F for about 1-2 hours or until the mushrooms’ texture becomes meaty and chewy. Spread about a tablepoon of the cashew cream cheese evenly onto one slice of bread. Layer on two slices of tomato, a leaf of lettuce, and 1/3 of the marinated mushrooms, then top with another slice of bread spread with another tablespoon of cashew cream cheese. Repeat to make two more sandwiches. Recipe submitted to Waste Not Want Not Wednesday, Allergy Free Wednesdays, Raw Food Thursdays, Foodtastic Friday, Healthy Vegan Friday, Recipe Wednesday, and Wellness Weekend. You can find the first post of my Austin Extravaganza series here. The first full day of my long-anticipated spring break jaunt to Austin, TX began with a green smoothie sprinkled with my new favorite granola, both of which I picked up at the flagship Whole Foods market the night before. After waiting for Ashley—my best friend of eleven years who provided the main reason for my visit to the southern U.S.—to awake from her slumber, I suggested that we kick off our action-packed day with a journey to Barton Springs. A man-made pool incorporated into a channel of Barton Creek, Barton Springs serves as a popular venue for nature enthusiasts who prefer to swim in fresh spring water, as opposed to chemically treated pools, surrounded by chirping birds and lush foliage. The area proved absolutely gorgeous and rife with wildlife, including lizards and a regal blue jay of whom I managed to snap a photo. During our lengthy stroll to Barton Springs, I began to feel a bit peckish and enthusiastically welcomed the sight of Juiceland, a juice and smoothie bar with four locations around Austin that specializes in cleanses and liquid nutrition. Their extensive menu boasts three categories of juices (milder “fresh & easy” juices; fruity agua frescas; and “next-level” juices packed with veggies, greens, and spices), four categories of smoothies (basic fruit smoothies; sweet green smoothies; protein smoothies—many of which implement whey protein, unfortunately—; decadent dessert smoothies; and “next-level” smoothies, one of which even includes durian fruit, wowza! ), superfood “cocktails,” herbal tonics, energizing shots, and a selection of premade to-go salads and raw desserts. The tiny liquiteria also sold a wide array of locally prepared kombucha, fresh young thai coconuts, raw chocolates, and vegan fruit-and-nut bars, including those crafted by Caleb and Chris of the Bearded Brothers—an organic snackfood company specializing in generously sized raw, gluten-free, and vegan energy bars. Ashley and I would later have the pleasure of sampling their tantalizing snack bars at the Wheatsville Co-op, but for the time being, we would simply stare longingly at mouthwatering flavors like Bodacious Blueberry Vanilla, Fabulous Ginger Peach, and Mighty Maca Chocolate. Yum. Wanting to satiate myself until lunch without ruining my appetite, I opted for a light snack of a wheatgrass shot and a couple sips of Ashley’s “Hydrator” smoothie of watermelon juice, peaches, and lemon. Premade juices, oodles of kombucha, and fresh coconuts for sippin’. Ahh, the sound of a wheatgrass juicer motor. A journey back across town to Congress Ave landed Ashley and I smack-dab in the middle of a conglomeration of food trucks, including a health-conscious Indian one, referenced in many of my Google searches of “best food trucks Austin,” known as Nomad Dosa. The young hipsters inside Nomad Dosa’s sleek, silver caravan create all of the truck’s fare without the use of meat, wheat, gluten, soy, additives, gums, refined flours, and sugars (whew! ), and implement nourishing food preparations including fermenting their soaked rice-and-lentil batter for several hours, carefully selecting spices to optimize digestion, and utilizing only olive and coconut oils in their cooking. Not only do Nomad Dosa’s gastronomic tenets jive perfectly with my own, they also mingle to produce some of the freshest, most flavorful, and most satisfying Indian cuisine I’ve ever had the pleasure of tasting—completely unlike the overly greasy, muddled-tasting dishes I’ve sampled at many an Indian restaurant. Hungry and eager to dosa, Ashley and I put in our orders, paid an incredibly reasonable sum (only $9-$10 for ginormous dosa, a chutney, and a side of either rice or lentil soup), and awaited our food for a mere five minutes before hearing the sweet call of, “Ali and Ashley—your order is ready!” Ashley ordered the “Holy Cow” filling—creamy spiced potatoes, sauteed onions, roasted cashews, and green peas—on a soft dosa topped with shredded carrots served alongside a mild coconut chutney and a lentil dipping soup known as sambar, while I opted for the “Kerala Kokonut” filling—butternut squash, zucchini, eggplant, carrots, and cauliflower in a coconut curry—on a soft dosa topped with romaine lettuce and avocado, served alongside a spicy cilantro chutney and sambar. A spongy, sourdough-tasting dosa wrapped around impeccably spiced, veggie-laden stews and accompanied by a thick, bliss-inducing lentil soup? Be still my beating heart. An inside view of my “Kerala Kokonut” dosa. After our immensely fulfilling lunch, Ashley and I meandered down Congress Ave, popping in just about every storefront along the road, including a nifty antique shop called Uncommon Objects, described by Austinites as “your eccentric uncle’s attic on steroids.” There, I fawned over the vintage mason jars, old-style cameras, and clickety-clacky typewriters while Ashley revealed a peculiar obsession with science-lab-style glass vials. We also passed an open-air adoption event hosted by Austin Pets Alive!, the city’s most prominent and almost completely volunteer-run organization devoted to achiving a 100% no-kill rate of sheltered companion animals in Austin. Sufficiently tuckered out after our active morning and afternoon, Ashley and I rejuvenated from the balmy Austin weather in her air-conditioned apartment. However, another bout of hunger soon overcame us, and we trekked out once more to enjoy a casual yet scrumptious meal at Austin’s almost-one-year-old vegan restaurant, Counter Culture. Born from humble beginnings in July 2009 as a food truck, Counter Culture launched a wildly successful Kickstarter project in February 2012, the 195 donors of which enabled the business to relocate to a brick-and-mortar, diner-style restaurant bedecked in cheerful aquamarine-and-brown decor. On the Counter Culture menu, owner Sue Davis emphasizes nourishing, wholesome versions of comfort foods alongside playful raw dishes, while devoting her restaurant’s ethos to animal welfare, environmental sustainability, and long-term health. In utter support of Counter Culture’s mission and drooling over the tantalizing photos on their website, I quite looked forward to sampling their dinner fare. Though the Raw Bruschetta with flax crackers, cashew cheese, pesto, and tomatoes called my name, Ashley turned down my offer to split the appetizer, arguing that she’d like to save her money for dessert. Her miserliness couldn’t stop me, however, from ordering the Meltdown sandwich—a creamy garbanzo bean “tuna” salad with celery and dulse flakes, topped with melty cashew cheese and sliced tomatoes, layered between two slices of toasted gluten-free bread and accompanied by a side of the novel Pac Man salad of kale, Pac-Man-shaped carrot slices, and chia seeds in a creamy garlic dressing. If you recall my recent declaration of love for sandwiches, you can no doubt envision a starry-eyed, beaming Ali munching on the Meltdown’s hearty layers, each bursting with unique flavor (including the tomatoes! Perhaps the south enjoys quality tomatoes earlier in the year than does the midwest). After analyzing Counter Culture’s online menu, Ashley continually expressed her excitement toward ordering the Jackfruit BBQ sandwich—shredded jackfruit smothered in chipotle barbeque sauce, topped with red onions and pickles, and stuffed inside a multigrain hoagie bun, accompanied by a side of perfectly roasted sweet potatoes and beets. The meal certainly lived up to Ashley’s high expectations, causing her to exclaim how surprisingly accurately the shredded jackfruit resembled pulled pork (in texture and flavor, not oppression and exploitation, of course). For dessert, Ashley and I shared an ice cream sundae of vanilla coconut milk ice cream (supplied by local vegan ice creamery Sweet Ritual, which Ashley and I would visit in two days), silky raw cashew cream, and berries, as well as a tropical-flavored raw truffle of almonds, dried pineapple, shredded coconut, and dates. While delicious, the meal left my stomach not quite as full as I would have preferred; Counter Culture seems to keep its portions on the small side. I knew I should have partaken in that bruschetta appetizer! Meltdown Sandwich with Pac-Man kale salad. BBQ Jackfruit Sandwich with roasted sweet potatoes and beets. After catching a bus back to Ashley’s apartment and pajama-ing up, we planned our eating excursions for the following day, which would include lunch at Austin’s staple macrobiotic, community-based restaurant, Casa de Luz, and dinner at the gourmet raw eatery of Beets Cafe. Stay tuned for summaries of those meals in an upcoming post. Breakfast: A juice of apple, kale, carrots, and beets, accompanied by a bowl of Cocoa-Pomegranate Granola garnished with goji berries, spirulina, and hemp seeds and moistened with a dash of homemade almond milk. Breakfast Checklist: Protein—flaxseed meal, walnuts, pistachios, hemp seeds, almond milk. Whole Grain—GF rolled oats, millet, raw buckwheat groats. Fruit—apple, goji berries, pomegranate, prunes, coconut. Leafy Green—kale. Superfood—pomegranate, flaxseed meal, cacao nibs, goji berries, spirulina, hemp seeds. Added Veggie Bonus!—carrots, beets. Local Ingredients: Apples from Wicklow Orchards. 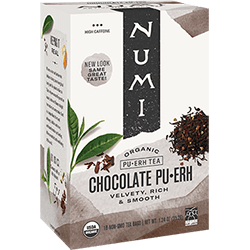 Morning Tea: Numi’s Chocolate Pu-Erh tea. Lunch: A massaged kale salad of curly green kale massaged with roasted sweet potato, Liquid Gold Dressing, and button mushrooms, mixed with julienned carrots, navy beans, dulse seaweed flakes, and a mix of amaranth and quinoa, all topped with sauerkraut and accompanied by a spoonful of peanut butter (unpictured). Meal Checklist: Protein—navy beans, peanut butter. Whole Grain—amaranth, quinoa. Vegetables—sweet potato, mushrooms, carrots. Leafy Greens—kale, cabbage in sauerkraut, dulse seaweed. Local Ingredients: Sauerkraut from Perry’s Pickles (no website). Afternoon Beverage: Rishi’s Cinnamon-Plum tea. Dinner: A large bowl of vegan three-bean (pinto, black, and kidney) chili chock full of veggies—including onions, carrots, tomatoes, and bell peppers—dusted with nutritional yeast and accompanied by a simple, gluten-and-sugar-free apple crisp topped with walnuts and almonds sitting atop a pile of mixed salad greens. Meal Checklist: Protein—pinto beans, kidney beans, black beans, walnuts, almonds. Whole Grain—none. Vegetables—onions, carrots, tomatoes, bell peppers, apples (fruit, but whatever). Leafy Greens—mixed salad greens. After-Dinner Beverage: Traditional Medicinals’ Organic Eater’s Digest tea. Well folks, I’ve added yet another category to my ever-growing repertoire of imaginative sandwich creations: the breakfast sandwich. Fret not, for I certainly do not speak of those grease-and-chemical-laden fast food Mc-Whatever sandwiches constructed solely from the exploitation of factory farmed non-human animals (those ain’t vegan, folks). Instead, I’d like to introduce to you a vastly superior morning meal teeming with antioxidants, phytochemicals, and mouthwatering tendencies for which both the animals and all that old juice pulp taking up valuable freezer real estate will thank you. With my juice pulp, I’ve crafted pancakes and crackers, and look to experiment with fritters and muffins in the near future. However, on this particular occasion I drew upon the notion of mashing juice pulp with avocado to create a spread (introduced to me by Gena of Choosing Raw, though I can’t seem to dig up the specific post), tweaking the idea slightly to create a thick spread of juice pulp and almond butter. Since I enjoyed this sandwich for breakfast and prefer to pack as many superfoods into my morning meals as possible, I also tossed in a dash of both maca and spirulina for an incredibly nourishing sandwich filling. After topping it with goji berries, this mash may very well have transformed me into Superwoman. As for the bread, I once again employed a recipe from my very favorite new cookbook—Jennifer Katzinger’s “Gluten-Free and Vegan Bread“—for Cinnamon-Raisin-Walnut Loaf. Hearty, dense, moist, crusty, studded generously with crunchy walnuts and juicy raisins, and teeming with the aroma of cinnamon, this bread provides an almost transcendental gastronomic experience that feels utterly decadent but in reality provides boatloads of plant-based nutrition. For those of you curious readers, I present to you the ingredient list of this particular bread: chia seeds, arrowroot, GF oat flour, teff flour, flaxseed meal, tapioca flour, cinnamon, sea salt, walnuts, raisins, yeast, olive oil, maple syrup. You, of course, can still enjoy this sandwich even without Jennifer’s genius baking tome, but I’d highly recommend procuring some sort of cinnamon-raisin bread, for its flavor nicely complements the juice pulp filling. 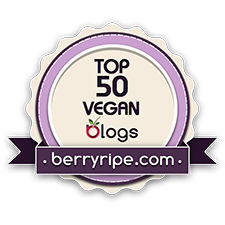 Juice Pulp-Almond Butter Sandwich with Superfoods—Soy Free, Oil Free, Low Sodium. In a small bowl, combine the juice pulp and almond butter and mash together with a spoon or the back of a fork until well combined. Add the maca and spirulina and mix again. Spread the juice pulp mixture onto one of the bread slices (you will probably end up with extra juice pulp mixture). Sprinkle with goji berries and top with the second slice of bread. Serve warm. Recipe submitted to Waste Not Want Not Wednesdays, Allergy-Free Wednesdays, Wellness Weekend, Gluten Free Fridays, Foodtastic Fridays, and Healthy Vegan Fridays. Breakfast Checklist: Protein—almond butter, spirulina, chia seeds, flaxseed meal, walnuts (last three in bread). Whole Grain—GF oat flour and teff flour in bread. Fruit—raisins, apples, goji berries. Superfoods—flaxseed meal, chia seeds, maca, spirulina, goji berries. Leafy Greens—kale. Added Veggie Bonus!—carrots. Comment Provoking Questions: How do you use up leftover juice pulp? What is your favorite type of breakfast sandwich? As with so many other healthy eating techniques and recipes (banana soft serve and perfect tofu burgers, anyone? ), my virtual buddy Gena of Choosing Raw first introduced me to the notion of blending juiced veggies with avocado to yield a creamy beverage more substantial than yet just as nourishing as a standard green juice. Figuring that if I could blend avocado into my morning juice, I could amp up its nutritional content even further by also pureeing in hemp seeds and goji berries. New breakfast triumph! I alluded to Jennifer Katzinger’s Raspberry-Rooibos Tea Bread in my last post on the gluten-free sandwiches in which I’ve recently reveled, promising more details in this post. The recipe that called to me the most earnestly out of Jennifer’s entire book, this bread did not disappoint my high expectations for it. The bread’s base of teff flour imparted a deep hue, hearty texture, and a unique flavor wavering between earthy and nutty, while the rooibos tea lent a slightly red tone and sophisticated taste. Each layer of the bread took on a distinct characteristic—the bottom proved oh-so-moist and chewy while the top held an almost coffee-cake-like crumbly texture. Studded with tart raspberries and only mildly sweet from a minimal amount of agave nectar, the bread appealed immensely to my sugar-sensitive tastebuds and provided a complex way to wake the palate after a night’s rest. The next time I make this recipe, I intend to incorporate a bit of cocoa powder as I think it will nicely complement the bread’s flavor; besides, aren’t raspberries and chocolate a match made in heaven? Breakfast Checklist: Protein—hemp seeds. Whole Grain—teff flour. Fruit—apple, avocado, goji berries, raspberries, lemon. Leafy Green—kale, parsley. Superfood—hemp seeds, goji berries. Added Veggie Bonus!—carrot. Local Ingredients: Carrots from Tipi Produce. Morning Tea: Triple Leaf Tea’s White Tea. Lunch: A TLT (Tempeh, Lettuce, & Tomato) Sandwich with Avocado on Jennifer Katzinger’s Light Teff Sandwich Bread, accompanied by a salad of mixed greens, alfalfa sprouts, mixed bean sprouts, “farmhouse mix” sprouts, carrots, and dulse flakes, all tossed in Liquid Gold Dressing and topped with the “Ferment of the Month” sauerkraut from Fizzeology. If you haven’t yet witnessed me waxing poetic about my recent sandwich ventures, I encourage you to do so by checking out my latest post. There, you can find the details of the TLT with Avocado featured above. As for the “Ferment of the Month” sauerkraut, this month’s mix of lactofermented yumminess contains a surprising plethora of unorthodox vegetables, which I will now list to fulfill your veggie-loving needs: green and napa cabbage, bok choy, brussels sprout tops, black radish, red pepper, carrot, red beauty heart radish, onion, cilantro, turnip, burdock root, dandelion greens, lotus root, yellow dot, evening primrose seed, wild parsnip, garlic, delicata squash, bok choy root, wild carrot, lambs quarter seed, apple, eggplant. Um, wow. Meal Checklist: Protein—tempeh, chia seeds, almond meal, flaxseed meal (last three in bread). Whole Grain—buckwheat and teff flours in bread. Vegetables—cherry tomatoes, alfalfa sprouts, mixed bean sprouts, “farmhouse mix” sprouts, carrots, sauerkraut veggies. Leafy Greens—mixed greens, dulse seaweed, greens in sauerkraut. Local Ingredients: Carrots from Tipi Produce, alfalfa sprouts and mixed bean sprouts from Troy Community Farm, “Ferment of the Month” sauerkraut from Fizzeology, tempeh from the Simple Soyman, mixed greens from Don’s Produce (no website), “farmhouse mix” sprouts from Garden to Be. Afternoon Beverage: A glass of NessAlla Kombucha in their seasonal Cardamom Hibiscus Ginger flavor. Dinner: Two of Dreena Burton’s Mushroom-Pecan Burgers topped with Julie Morris’ Superfood Goddess Dressing from her book “Superfood Kitchen“; a Mixed Veggie Slaw with Peanut Lime Dressing (recipe below); and the leftover wrappers and marinated veggies from the Raw Falafel and Hummus Wraps with Marinated Mediterranean Veggies that I brought to the raw potluck last weekend. Super hearty, densely textured, and wonderfully savory from a thoughtful combination of seasonings including miso, sage, oregano, balsamic vinegar, and tamari, Dreena’s Mushroom-Pecan Burgers filled in every box on the “Great Veggie Burgers” checklist. Slathered in Julie’s tangy Superfood Goddess Dressing—deemed as such due to the inclusion of hemp seeds, flaxseed oil, and Amazing Grass Green Superfoods powder—the burgers provided a delectable focal point to my dinner. I drew inspiration for the Mixed Veggie Slaw with Peanut Lime Dressing from Fresh Restaurant’s recipe for Tangled Thai Salad. My simplified version of the recipe I’ve provided below—I used most of the veggies listed in the recipe simply to clean out my refrigerator, so feel free to substitute any other veggies you like. Place all of the veggies in a large bowl and toss to combine. To make the dressing, place all of the dressing ingredients in a blender and puree until smooth. Pour the dressing over the veggies and mix well to coat. Meal Checklist: Protein—pecans, tahini, flaxseed meal, peanut butter, hemp seeds. Whole Grain—GF rolled oats. Vegetables—butternut squash, cherry tomatoes, cilantro, zucchini, bell peppers, beets, cucumbers. Leafy Greens—spinach, savoy cabbage, Amazing Grass Green Superfoods powder. Local Ingredients: Spinach from Snug Haven, beets from Harmony Valley Farm. Comment Provoking Questions: Have you ever tried blending juice with avocado? What is your favorite sandwich? What veggies do you like to incorporate into slaws? You can find the details of the planning, first day, and second day of my family’s vegan Thanksgiving extravaganza in New York City in previous posts. While the penultimate morning of our visit to New York City began with a less-than-pleasant jaunt into the Chelsea area in overcast, blustery weather, my family engaged in a couple unexpected and quite exciting activities throughout the course of the day to mitigate the unfortunate atmospheric conditions. Our first surprising experience consisted of our discovery of an adorable cafe called The City Bakery, located just off of 5th Avenue in West Chelsea. Overwhelmed by a particularly violent gust of wind, my mother directed us to seek refuge in the nearest storefront, which led us into the welcoming, bustling atmosphere of The City Bakery—a cafe with an impeccable neighborhood-y feel and rife with families enjoying leisurely breakfasts. First opting simply to order a mug of mango tea while my parents sipped their coffee, I positively squealed upon glimpsing a juice bar at the back of the cafe. As I felt a bit peckish at this point of mid-morning, a refreshing juice appealed to me immensely, and I raced to the juice counter to chat up the friendly young woman responsible for creating happiness in the form of nutrient-rich beverages. Little did I know that The City Bakery employs a juice chef (!!!) to craft unique, artisanal juices from unorthodox combinations of fruits and veggies. Just listen to the juice bar menu’s tantalizing offerings: fennel, kirby cucumber, & cold-pressed sugar cane; kale, cucumber, apple, orange, lemon, & extra virgin olive oil; sweet potato, orange juice, & cilantro; banana, cold-brewed coffee, dates, & cacao nibs; carrots, apples, golden beet, & cranberry; grapefruit, orange, avocado, & vanilla. I ordered an invigorating juice of foamy pineapple, cucumber, and purslane, loaded with omega-3 fatty acids from the purslane. Upon sampling some of this delectable concoction, my parents, both skeptical of juices containing vegetables, donned delightfully shocked expressions and exclaimed “WOW!” in unison. After recommencing our trek to the Chelsea High Line, mounting the stairs of the refurbished highway, struggling against even stronger bursts of wind at our higher altitude, and finally giving up altogether on attempting to enjoy any sort of outdoor activity, my parents and I hopped inside the Chelsea Market to peruse the variety of retail shops and mini restaruant stands before ordering our lunch at One Lucky Duck Juice and Takeaway. My father, experiencing a cranky bout of miserliness, refused to “waste $16 on a container of lettuce,” (uhm, excuse me? ), and opted to merely sip agave-sweetened lemonade for his midday meal, while my mother and I reveled in Sarma’s raw goodies. Seduced by the Thai Lettuce Wraps, I traveled to raw food heaven upon first biting into the sweet, coleslaw-like, almond buttery filling of mango, pea shoots, carrots, cabbage, Thai basil, mint, and cilantro studded with crunchy cashew bits and encased in a (somehow) tender collard leaf. However, the succulent, drool-inducing tamarind dipping sauce comprised my favorite aspect of the dish. Followed by a raw yet impeccably similar version of the infamous fig newton, my delicious lunch made up for the inclement weather I endured in order to experience it. Meal Checklist: Protein—almond butter (I assume), cashews, nuts in fig newton. Whole Grain—none. Vegetables—mango, pea shoots, carrots, Thai basil, mint, cilantro, tamarind. Leafy Greens—collard greens, cabbage. As for my mother, she enjoyed (part of) a ginormous container of raw Taco Salad, consisting of romaine lettuce, a spicy walnut meat crumble, pico de gallo, sweet corn-studded guacamole, cashew sour cream, and cilantro-lime dressing. I sampled a bite of the salad once my mother had made her way through as much of it as she could with her bird-like appetite, and can attest to its mouthwatering combination of southwestern flavors and contrasting textures. After lunch, my family did not look upon venturing out into the windtunnel of a day as a preferable idea, so we caught a cab back to the hotel to determine how to spend the few hours before dinner. Little did my parents know, I had packed a couple items intended specifically for use if we somehow found ourselves with downtime: yoga clothes. An avid member of both the vegan and yoga communities, how could I resist venturing to the ultimate intersection between the two worlds? I speak, of course, about Jivamukti Yoga—a world-renowned yoga school owned and operated by passionate vegan activists Sharon Gannon and David Life who unabashedly incorporate tenets of veganism into all aspects of their yoga empire. A mere subway ride away from the NYC branch of Jivamukti, I would have undergone immense disappointment had I not attended a yoga class there. Luckily, the timing and weather of this particular Saturday worked out perfectly, and I nearly burst with excitement during the subway ride to Narayani Nicole Nichols’ 3:00 Open class. Challenging, fast-paced, and full of arm balances and inversions, the class suited my yoga practice impeccably and temporarily eased the longing to return to my home studio of Inner Fire in Madison. However, even more enjoyable than the asana practice proved Narayani’s activism-themed narration of the class, imbued with vegan values and the notion of ahimsa (nonviolence toward all beings). Unfortunately, since my family already had dinner plans that night, I did not get to patronize Jivamukti’s onsite cafe, aptly titled JivamukTEA. Darn, I suppose I’ll just have to return to the studio the next time I visit the city and force myself to sample a “Light Bite” combination plate of grilled tempeh, spirulina millet, steamed kale, and turmeric-tahini dressing accompanied by a wheatgrass shot. Jivamukti Front Dest and Boutique. After my transcendental yoga experience, I subway-ed back to the hotel to rest up before our trek back into the East Village for dinner at Angelica Kitchen. The macrobiotic-inspired staple NYC vegan restaurant has served nourishing, astoundingly tasty food since 1976, and the folks there have dedicated themselves to supporting sustainable agriculture and responsible business practices from the beginning. Featuring a menu on which a whopping 95% of all the food is grown organically, Angelica Kitchen implements only fresh, local ingredients free of refined sugars, preservatives, and animal products of any kind. Apparently, the restaurant has garnered such a loyal following that the line often extends out the door and past the neighboring restaurant, John’s Italian; because of this, the nextdoor eatery implemented an entire vegan menu to draw in the crowd waiting outside Angelica’s Kitchen! I must confess that before our trip, the prospect of dining at Angelica Kitchen excited me more than at any other restaurant on our list. Though I could very well have twirled my finger, landed upon any item on the Angelica Kitchen menu, and died of pure gastronimical bliss, I opted not to determine my dinner by random selection and instead thoughtfully decided upon the Angelica Pickle Plate—garlic-pickled shiitake mushrooms, marinated beets, and pickled onions, carrots, and celery—as well as a Combo Bowl of tempeh; a 3-grain mix of quinoa, wild rice, and amaranth; arame and hijiki seaweed; steamed kale, collard, and napa cabbage; and steamed delicata, kabocha, and butternut squash; all drizzled with the House dressing of parsley, scallions, tahini, and umeboshi plums. Meal Checklist: Protein—tempeh. Whole Grain—quinoa, wild rice, amaranth. Vegetables—shiitake mushrooms, beets, onions, carrots, celery, mixed squash, parsley, scallions. Leafy Greens—arame, hijiki, kale, collards, cabbage. To my immense pleasure, my mother ordered both of the dishes that I would have chosen immediately after the two upon which I finally settled: the Kinpira—a deeply umami mix of roasted burdock root, carrots, and ginger in a teriyaki glaze and tossed with arame and hiziki—and one of the nightly specials featuring marinated grilled tempeh, a coconutty jasmine rice pilaf, steamed sweet potatoes and broccoli, and a gingery tahini dipping sauce. I happily helped her finish off a couple cubes of the delectable tempeh dipped in the succulent, creamy sauce. Sadly, I did not obtain a photo of my father’s dinner, which started with a generous cup of hummus accompanied by pita and crudites, and culminated in a large bowl of three-bean chili, bursting with hefty chunks of housemade seitan, kidney and pinto beans, lentils, sundried tomatoes, and chiles, all topped with lime-jalapeno tofu sour cream and served alongside the most gigantic, fluffiest wedge of cornbread upon which I’ve ever laid eyes. Not even my father could finish off Mt. Cornbread, but he attested to the incredibly delicious and satisfying nature of his dinner, which holds quite a lot of meaning seeing as he grew up in the South eating chili and cornbread just about every week. Needless to say, Angelica Kitchen lived up to and far exceeded my expectations, providing exactly the type of immensely nourishing, simple, seasonal food in which I most revel. Our final full day in New York City coming to a close, my family and I returned to the hotel, disappointed at the prospect of ending our metropolitan adventure of fantastic eating but eager to enjoy a final meal at Beyond Sushi for lunch the next day. Breakfast: A variation on Elenore’s genius creation of the Greenylicious Super Smoothie (#GSS for all you Tweeters), a foolproof smoothie template of sorts, consisting of 1 frozen banana, 1 juicy ripe peach, 1/2 an avocado, 6 leaves of lacinato kale, a large knob of fresh ginger, 1/2 of a lemon’s juice and zest, 1 tbsp chia seeds, 1/2 tsp spirulina, a small splash of vanilla extract, and 1 cup coconut water, all topped with a handful each of raspberries and blackberries, as well as some chopped almonds. Breakfast Checklist: Protein—chia seeds, almonds. Whole Grain—none. Fruit—banana, peach, avocado, lemon, raspberries, blackberries. Leafy Green—lacinato kale. “Super Food”—chia seeds, spirulina. Added Veggie Bonus!—ginger. Local Ingredients: Peaches from the Door County Fruit Market, raspberries from Sutter’s Ridge Farm, blackberries from Brantmeier Family Farm, lacinato kale from Harmony Valley Farm. Lunch: A salad of mixed greens, alfalfa sprouts, mixed bean sprouts, sunflower shoots, carrots, sungold tomatoes, chickpeas, and dulse seaweed flakes, all tossed in Liquid Gold Dressing and topped with a dollop of spicy kimchi, served alongside small bowl of Gena’s Spicy Curry Kale Chips. While my pantry’s particular curry powder has consistenly overpowered every past recipe in which I’ve implemented it, I suspect that the creaminess of the nuts in this kale chip recipe (I subsituted almonds for cashews) coupled with the mysterious smokiness of the dried kale provided a nuanced flavor base that effectively balanced the usual harsh spiciness of the curry. Instead of an unpleasantly intense blast of Indian flavor, the kale chips offered a subtle umami, accentuated by the always welcome cheesiness of nutritional yeast. I “dehydrated” these kale chips at 170°F, the lowest temperature my oven reaches, for about five hours, which rendered them satisfyingly crisp and crackly. Meal Checklist: Protein—chickpeas, almonds. Whole Grain—none. Vegetables—alfalfa sprouts, mixed bean sprouts, sunflower shoots, carrots, sungold tomatoes, kimchi veggies, bell pepper in kale chips. Leafy Greens—mixed greens, dulse seaweed, cabbage in kimchi, kale in chips. Local Ingredients: Mixed greens from GittOrganic, alfalfa sprouts and mixed bean sprouts from Troy Community Farm, sunflower shoots from Garden to Be, carrots from Driftless Organics, sungold tomatoes from Singing Fawn Gardens, kimchi from Fizzeology, kale from Harmony Valley Farm, bell pepper from Pederson’s Produce (no website). Afternoon Beverage: A tall glass of NessAlla Kombucha in Raspberry flavor. Dinner: The messiest, juciest, most sensational burger I’ve ever experienced: the Tomato Burger from Sweet and Healthy Living, piled high with a portobello mushroom and red onions caramelized in orange juice, tomato paste, garlic, and chili powder, along with a couple slices of cucumber and a handful of alfalfa sprouts. I accompanied this delectable vegan monster with Sweet Potato Soul’s (dare I say…) buttery Eggplant and Miso Stir Fry with Miso and Mint, subbing peaches for the mango, as well as a side salad of mixed greens, cucumbers, and chickpeas drizzled with Laura’s Roasted Tomato and Chili Vinaigrette. While I could attempt to describe the utter joy I experienced in devouring this mind-bogglingly delicious burger while tomato, portobello, and caramelized onion juices streamed down my elbows, I will simply urge you to run to your kitchen and recreate this stellar meal for yourself. Go. Immediately. Paired with the meltingly tender eggplant redolent with spicy peppers and succulent peaches, the burger provided an unforgettable meal that I hope to enjoy again in the very near future. Meal Checklist: Protein—chickpeas. Whole Grain—none. Vegetables (and fruits)—heirloom tomato, sungold tomatoes, portobello mushroom, cucumbers, alfalfa sprouts, red onion, garlic, chiles, basil, eggplants, Hungarian wax peppers, peaches, ginger, mint. Leafy Greens—mixed greens. Local Ingredients: Heirloom tomatoes from Roots Down Community Farm, sungold tomatoes from Singing Farm Gardens, portobello mushroom from Palm’s Mushroom Cellar (no website), cucumbers from Canopy Gardens, alfalfa sprouts from Troy Community Farm, red onion from Jones Valley Farm, garlic and mint from Brantmeier Family Farm, chiles from Driftless Organics, basil from my backyard herb garden, eggplant from my community garden plot, Hungarian wax peppers from Pederson’s Produce (no website), peaches from the Door County Fruit Market, mixed greens from GittOrganic. Comment Provoking Questions: Which fruits serve as your favorite smoothie bases (besides bananas, of course)? What have your past experiences with curry powder been like? What is the most unorthodox food you’ve ever used as a burger bun?